Every year, thousands gather to watch the most exciting off-road bicycle race in the world. Join us, as we review the excitement of the 2008 24 Hours of Moab. Watch the Video, "24 Hours of Moab, 2008"
After midnight in Moab, it is 39 f degrees outside, but the wind chill on exposed human flesh feels like 34 f degrees. To the north, in Montana, Idaho and Wyoming, a major winter snowstorm rages. Although no precipitation has fallen here in the past five days, the storm to the north is acting like an atmospheric vacuum cleaner, pulling in strong winds from the south. 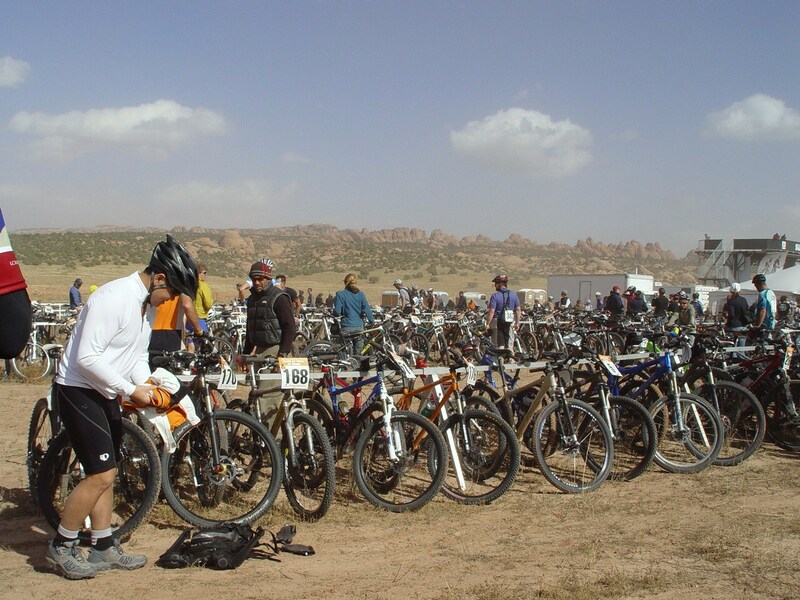 At Noon Saturday, the thirteenth annual Suzuki “24 Hours of Moab” mountain bike race began at its traditional course “Behind the Rocks”, ten miles south of Moab. 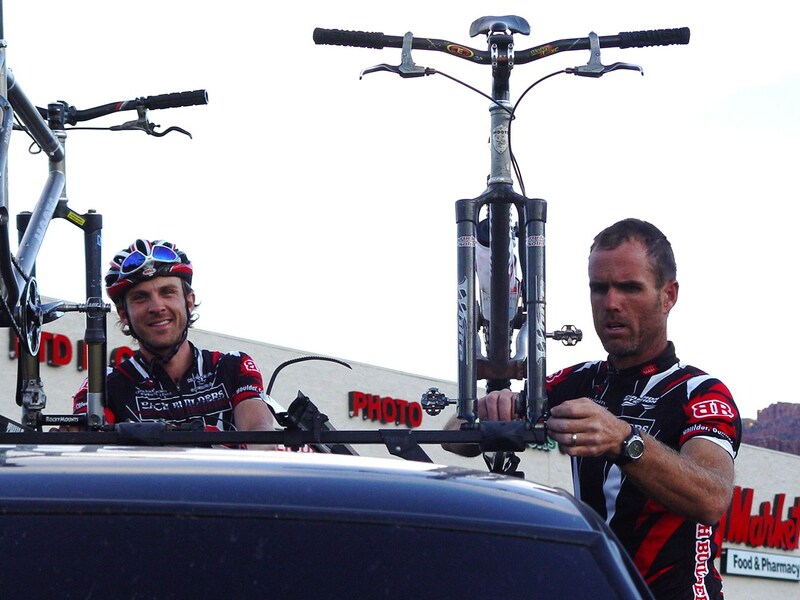 For those who do not know, the “24 Hours of Moab” is the premier endurance race of its kind. For all of those years, Laird Knight and his Granny Gear Productions has been the driver behind this event. As the huge regional storm was building to the north on Friday night, thousands of mountain bike racers and race fans made camp on a former cattle-grazing land near the Start/Finish line. As they spent the night in tents near the course, I slept in my heated travel trailer, at the full-service Moab Rim Campark, ten miles away. Even in my sheltered spot, I awakened several times overnight, fearful that my trailer might blow over in the wind. 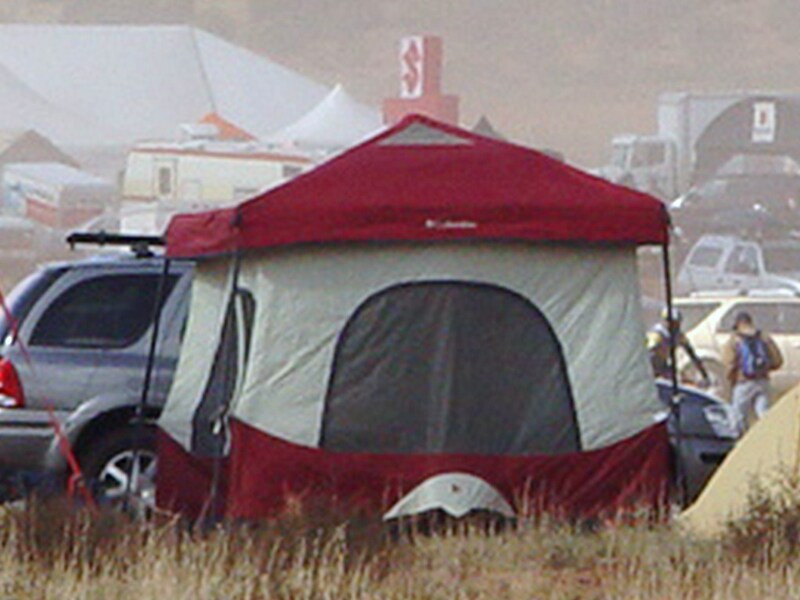 I can only imagine how little sleep the racers and fans may have gotten in their campground that night. On Saturday morning, I drove to the race site, intent upon finding the two-man Bach Builders Team, also known as “Team Shake & Bake”, comprised of Dax Massey of Boulder and Dean Miller of Littleton, Colorado. Having met both men in the parking lot of a Moab supermarket the previous day, I wanted to photograph and interview them before the start of their 24-hour race. Upon my arrival at the camp and racecourse, the thousands of tents, bikes and racers made me realize that finding Dax and Dean was unlikely. As the minutes counted down to race time, the winds built in equal measure. Sweeping winds alternated with vortices of super-fine red dust. 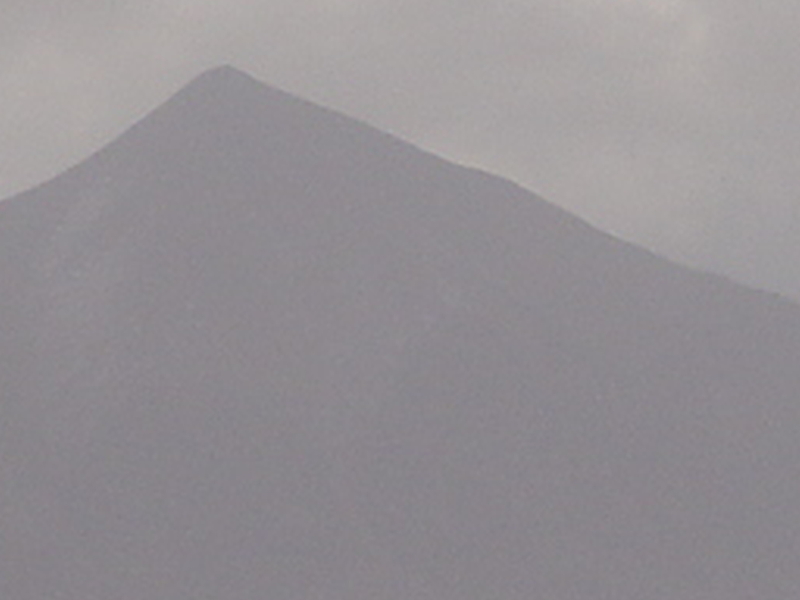 Almost immediately, the actuator on my digital camera developed a gritty feel. Looking like bandits or bank robbers, many fans around me wore bandanas over their noses and mouths. After realizing that the western bandana is really an early type of filtration device, I lamented the fact that I had left mine at home. The race includes an exciting “LeMans Start”, patterned after the classic sports car race of old. Rather than running to their sports cars, our bike racers first ran one hundred yards out, then one hundred yards back, before jumping on their bikes and pedaling away. With the strong wind and the loud public address system whipping up the crowd, the race start was pure pandemonium. Crowd control broke down, with fans, photographers and racers intermingling like Native Americans stampeding a herd of American Bison toward at cliff. I would like to say that after the race started that the dust cleared, but it did not. After the racers pedaled furiously away, the PA announcer told us that we would not see the leaders return from their fifteen-mile loop for about an hour. Being a long distance bike-racing fan is like working for the CIA. There is endless boredom, punctuated by occasional action, when the riders return. If the race itself is a test of endurance, for fans it is a test of dedication. Since I am a math whiz, I realized that at the pace of one lap per hour, I would see each of my favorite team riders not more than twelve times over the 24-hour period. After eating more dust than ever before in my life, I decided to leave the scene, planning to return for the final hour of racing, late Sunday morning. Why would so many people brave such hardships to participate in or watch a 24-hour bike race on a remote, windswept mesa? The roots of off-road bicycle racing go back to the late 1960s, when a few intrepid souls raced up (or was it down) Mount Tamalpais, in Marin County, California. Not to be outdone, young men and women throughout the Rocky Mountain region took up the sport in the 1980s and 1990s. 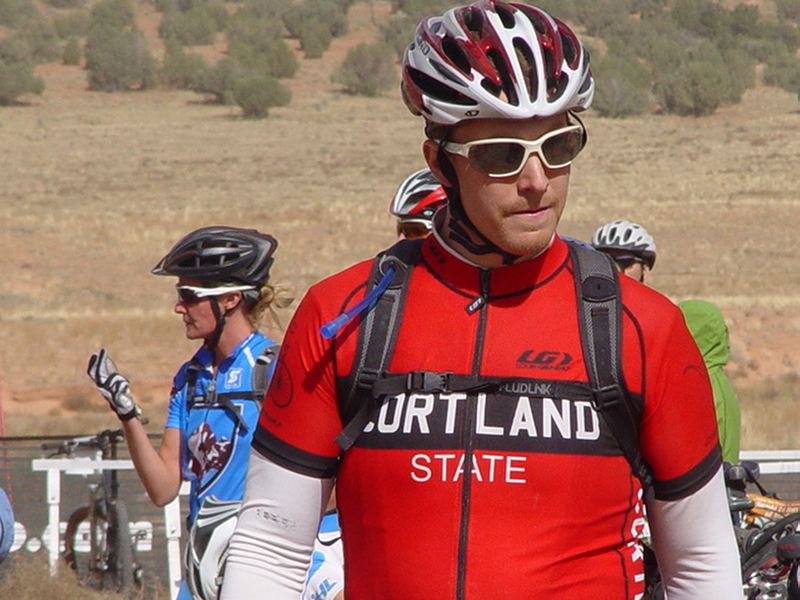 Now that it is a mature, if niche sport, off-road bicycle endurance racing appears to attract participants in their late twenties to their early forties. There are younger and older participants, but the core group has “Generation X” (for extreme?) written all over them. As I complete and post this article, the high, cold mesa is still a beehive of activity, with racers, volunteers and support staff monitoring the ongoing race. As I prepare to retire, it reminds me that Dax and Dean will have little rest again tonight. Only when one passes their team baton to the other, can the first rider rest for an hour or two, depending on their riding schedule. I forgot to mention that when I met Dean on Friday afternoon, an injury to his right hand and wrist prevented him from offering me a traditional handshake. Undaunted, Dax and Dean planned to come in first in their self-supported Duo-Pro class. If they finish at all, they will be my heroes. As I write this article, time wears on. According to current race results provided by www.grannygear.com, Bach Builders/Team Shake & Bake is currently in thirteenth place overall and they are first in the Duo-Pro category. While they clocked early laps at one hour, eleven minutes, their after-midnight lap times have fallen to one hour and thirty-one minutes. Go Dax and Dean. I shall cheer your anticipated victory at the finish line on Sunday at Noon.